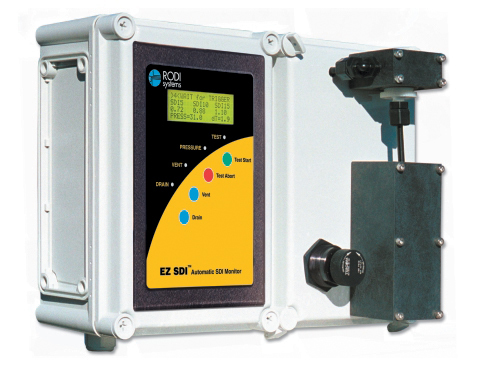 EZ SDI - Automatic Online Silt Density Index Monitor | Applied Membranes Inc. 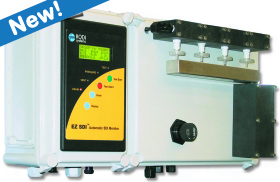 The EZ™ and Enhanced SDI monitors automatically and consistently monitor the silt density index of RO feedwater. Monitoring the SDI is very useful to determine fouling problems before the membranes need replacement. The EZ SDI™ is microprocessor controlled and fully automatic, allowing operators to quickly and regularly check the effectiveness of the RO pretreatment system. The EZ SDI™ is designed for permanent installation. In order to prevent stagnant conditions in the sample line, the monitor continuously allows a side stream of sample to flow through the monitor up to the point where the sample enters the filter. A specially designed orifice controls the rate of this side-stream flow. 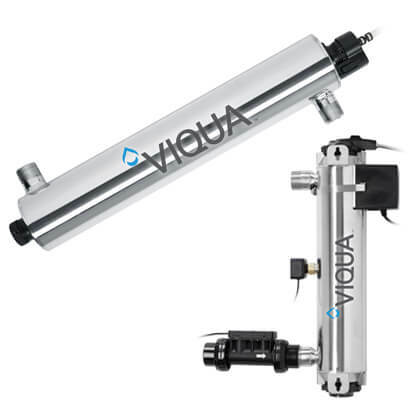 The orientation of the flow control orifice also allows air in the sample line to be separated from the sample before the sample enters the filter holder. Monitor feed water SDI to determine fouling problems before membranes need to be replaced. Prevent fouling and prolong the life of membrane elements to reduce maintenance costs. Test pressure is controlled with an internal pressure regulator, which can accommodate inlet pressures above 1000 psi. EZ SDI-4™ Automatic Silt Density Index Monitor will perform four separate tests before filter replacement is necessary. The EZ SDI-4™ will perform four separate tests before filter replacement is necessary. Electrical: All connections via removable screw terminals.